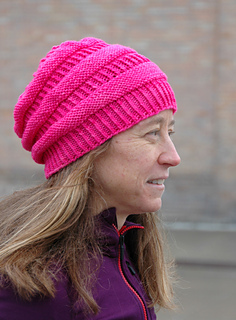 We couldn’t find a pattern to match this ever-popular commercial hat we’ve been seeing in our streets for weeks. So, we came up with our own. We also haven’t found a single person who doesn’t look fantastic wearing this hat. 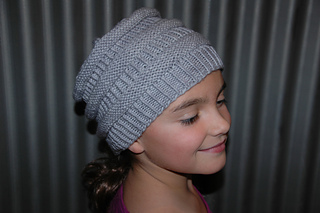 The twisted-ribbed brim and the “accordion-like” crown flawlessly hug all head shapes and sizes. It’s a fast knit, too. 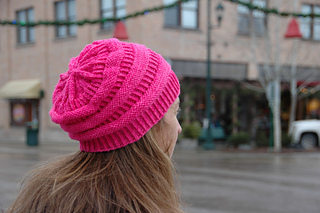 We’re certain you’ll knit a few Central Ave hats. Central Ave is knit in the round from the brim up. Instructions include 3 sizes and all measurements are given in US and metric. 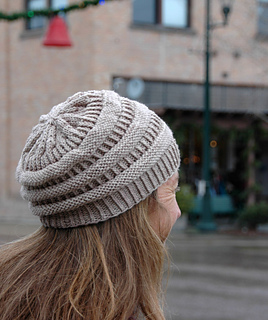 For a bulky weight version of Central Ave, check out our Second Street hat pattern. 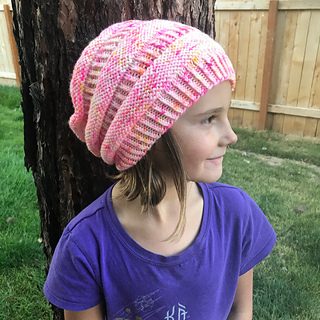 Join the PDS crew in our Ravelry group Polka Dot Sheep Publications for questions, chat, and to show off your finished Central Ave hats. 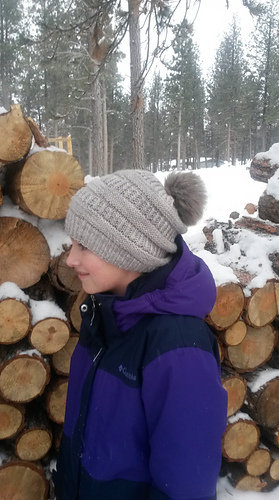 Pictured in PDS Worsted, by Polka Dot Sheep. If you are between sizes, make the larger size.